158 total news articles in this section, 10 per page. 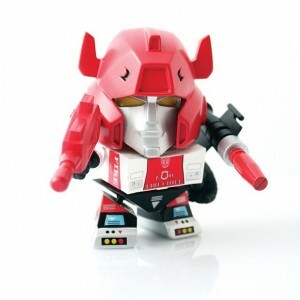 Seibertron.com board member Cyberpath linked us to the TakaraTomy YouTube channel which features a stop-motion animated video of MP-22 Ultra Magnus! It shares the complex transformation, plus the features of it and how it can interact with the other cars, as well as a quickie Optimus scale comparison. The very recently released Bumble is sharing the limelight with newcomer Magnus, as well as the car molds that came before them. Prowl to Wheeljack, along with Sideswipe and every use of the Datsun mold in between! TakaraTomy takes us back to a time of amazing stop motion videos with this new entry on their channel and it's an amazing sales pitch to get you to buy all the figures! 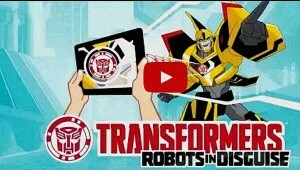 The official Transformers: Robots In Disguise video game for mobile devices has just been released for iOS tablets and phones, while Android versions will be released on an unknown future date. The game presents the cast of characters from the upcoming show including both the Autobots and the Decepticons and also has a feature which allows you to scan the faction sticker on each figure to unlock new features. DOWNLOAD NOW!! THE TRANSFORMERS NEED YOUR HELP! The Insecticons are everywhere and we need your help to defeat them! Take control of your favourite Transformers, collect energon, and unlock power modules to gear up and defeat the Insecticons. After the news last month that Jagex employees were being laid off, we now have confirmation from the Transformers: Universe website that the game is effectively shutting down - despite never really exiting the beta phase - as of the end of January 2015. You can read more about this below, including how to recover anything you may have spent on Founder packs. Today Jagex and Hasbro can confirm that Transformers Universe will close. This decision comes at an important time for both companies as they both realign their plans and focuses for 2015. What does this mean for our players? We’re hugely disappointed, but the game will be closing over the coming weeks before its full closure at 10am GMT on 31st January 2015. As a team, we can’t thank players enough for the support that they have shown us over the last few years of development, and even more so during our BETA period. The shutdown period will begin from today. As part of the winding down we will be refunding all those that have purchased a Founders Pack, as well as anyone that has purchased relic bundles and starter packs. These refunds should be all processed in the next 30 days. In addition we will be closing the ability for new players to make accounts, those of you that already have accounts will continue to be able to use them until the closure date. If you haven’t received a refund after 16th January 2015 and believe you should have, then please contact the Jagex customer services team (tu_refunds@support.jagex.com). We will also be pushing an update live today that will switch off the ability for players to buy any more relic packs, or starter bundles. As mentioned, on 31st Jan 2015 @ 10am GMT we will be shutting down all servers and forums and will freeze all Transformers Universe related accounts. These accounts will then be live for another 60 days (approx.) for any final queries before deletion on 31st March 2015. Between now and the date of closure the Jagex CM team will continue to operate on the forums and we will provide relevant updates on the website as necessary. If you have any queries about your account or refunds please contact our customer support team on tu_refunds@support.jagex.com. Please understand that they may be very busy during this time but they will respond as quickly as possible. Once again we want to thank all of the players that have played Transformers Universe and all those that have worked on the project. We’re sure you have thoughts and feelings that you’d like to share on this, so please do so on our forums. Please bear in mind that this is obviously a challenging time for all involved, especially the CM team. There will be plenty of things we can’t comment on, so please respect their position. PAWTUCKET, R.I.--(BUSINESS WIRE)-- Hasbro, Inc. (NASDAQ: HAS) today announced that its Board of Directors has declared a quarterly cash dividend of $0.43 per common share. The dividend will be payable on February 17, 2015 to shareholders of record at the close of business on February 3, 2015. Hasbro, Inc. (NASDAQ: HAS) is a branded play company dedicated to fulfilling the fundamental need for play for children and families through the creative expression of the Company's world class brand portfolio, including TRANSFORMERS, MONOPOLY, PLAY-DOH, MY LITTLE PONY, MAGIC: THE GATHERING, NERF and LITTLEST PET SHOP. From toys and games, to television programming, motion pictures, digital gaming and a comprehensive licensing program, Hasbro strives to delight its global customers with innovative play and entertainment experiences, in a variety of forms and formats, anytime and anywhere. The Company's Hasbro Studios is responsible for entertainment brand-driven storytelling around Hasbro brands across television, film, commercial productions, and short-form. Through the company's deep commitment to corporate social responsibility, including philanthropy, Hasbro is helping to build a safe and sustainable world for future generations and to positively impact the lives of millions of children and families every year. It has been recognized for its efforts by being named one of the "World's Most Ethical Companies" and is ranked as one of Corporate Responsibility Magazine's "100 Best Corporate Citizens." Learn more at www.hasbro.com and follow us on Twitter (@Hasbro). © 2014 Hasbro, Inc. All Rights Reserved. Fellow Seibertron.com user shajaki brings us a minor update, which leaves the situation unfortunately unchanged, regarding Takara Tomy Transformers Masterpiece MP23 Exhaust and the legal issues surrounding its release. The ActionRobo Facebook page - retailer based in Hong Kong - has confirmed that they will also not be carrying the figure, due to a request from the Philip Morris legal department. See for yourself below. 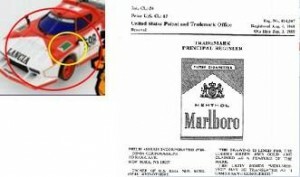 Special Notice on TAKARA/TOMY "MASTERPIECE MP-23 EXHAUST"
Actionrobo was contacted by a law firm represent Philip Morris USA Inc. Informing us that the TAKARA/TOMY "MASTERPIECE MP-23 EXHAUST" figure infringes “Philip Morris USA Inc” trademark and such product cannot be sold in the USA. To avoid further matter, listing on our website will be remove. All USA customers pre-ordered this figure will be refund. We apologize for the inconvenience caused!!! Curious as to what IDW Publishing are up to recently, in terms of Transformers comics and the celebration of the 30th anniversary of everyone's favourite transforming robots? Look no further than the official press release we received today, mirrored below for your viewing - and keep an optic on Seibertron.com this week to see what the buzz is all about. The Celebratory Year Concludes With New Series! San Diego, CA (November 25, 2014) – 2014 marks the 30th Anniversary of Hasbro’s TRANSFORMERS, which has been celebrated thus far with a blockbuster film and critically acclaimed comic series’ from IDW. But the party isn’t quite over as IDW still has some TRANSFORMERS debuts this year! The long-running TRANSFORMERS comic, which originally appeared in 1984, came to an epic conclusion as, TRANSFORMERS: Regeneration One by IDW reached its 100th issue! Original series’ writer, Simon Furman and artist Andrew Wildman led the illustrious series to its closing chapter earlier this year. But as one chapter closed, a new one began during the “Dawn of The Autobots.” After the cataclysmic changes of “Dark Cybertron” the Autobots gained unexpected new allies, of whom the breakout star, WINDBLADE, the first ever fan voted character, ventured out on her own critically-acclaimed mini-series written by Mairghread Scott and stunningly illustrated by Sarah Stone. The smash-hit new series TRANSFORMERS vs. G.I. JOE by Tom Scioli and John Barber made waves upon its Free Comic Book Day debut. With its stylized over-the-top approach, issue #1 sold out before the first issue even hit the shelves! The epic space-romp has not only been praised by the comic community, but has also struck a cord with fans. Throughout the year variant homage covers have graced the ongoing series’ More Than Meets The Eye by writer James Roberts and artist Alex Milne and Robots in Disguise by writer John Barber and artist Andrew Griffith. Celebrating the rich history of TRANSFORMERS, these covers highlighted monumental moments throughout the history of Transformers. This year has also seen a number of premier TRANSFORMERS collections released from IDW; from the 30th Anniversary Collection, with highlights from the many iterations of TRANSFORMERS in comics, to TRANSFORMERS Legacy: The Art of TRANSFORMERS Packaging. The Cybertronian War has been the explosive topic of the TRANSFORMERS series Autocracy and Monstrosity and the final chapter in this expansive storyline, Primacy debuted this fall! Written by Chris Metzen and Flint Dille with art by Livio Ramondeli this epic conclusion can’t be missed! DRIFT, who made his debut in the pages of IDW comics was featured in the blockbuster hit film TRANSFORMERS: Age of Extinction, and this month he returns to his comic roots in the new mini-series from creators Shane McCarthy and Guido Guidi! Drift—Empire of Stone sees the fan-favorite character take on a mission to clean up the darkest depths of the galaxy. As IDW comes up on its tenth year with TRANSFORMERS, it embarks on the wildest and most unexpected of crossovers with ANGRY BIRDS TRANSFORMERS. Written by John Barber the mini-series will be drawn by Marcelo Ferreira, and debuts tomorrow! It’s been a huge year for TRANSFORMERS in the anniversary year, and IDW is honored to be involved in the celebrations! The official Instagram account of The Loyal Subjects has been quite busy recently, showing off some GameStop exclusive vinyl minifigures - and it's time for Slag and Red Alert to shine, next to a special repaint of Optimus Prime. Check out the mirrored images below. Our friends over at IDW Publishing have released the covers and solicitation blurbs for their Transformers comics releases for next February 2015 - and they include some pretty interesting looks at what may or may not be coming in the IDWverse, including RID Galvatron in Drift, more Angry Birds and the Combination Enigma. Read on below! The action heats up as the Eggspark begins to alter the fundamental forces of Piggy Island itself! With the Autobirds and Deceptihogs forming an uneasy alliance, will their combined might be enough to halt inevitable doom?! Find out in the thrilling conclusion to this years’ most mind-bending mash-up! This issue’s fallout will impact TRANSFORMERS comics for years to come! Ties in directly MORE THAN MEETS THE EYE! THE ONYX INTERFACE! The AUTOBOTS and DECEPTICONS face down human forces—and strange battlelines make for strange allies. Who will emerge with the ancient ENIGMA OF COMBINATION… and who will usher in the COMBINER WAR…? All-out war in the wilderness! Will the Decepticons learn of the humans’ treachery? Wait, wait—did you say “the humans’ treachery”? The stage is set for COMBINER WARS! Variant Cover by Jeffrey Veregge! JOURNEY'S END! Across time, across space, from prewar Messatine to postwar CYBERTRON—it's all been heading towards this—the moment when the fate of the AUTOBOTS and the DECEPTICONS is sealed. At the heart of it all: three killers, two outcomes... and one terrible, terrible choice. OPTIMUS PRIME vs. MEGATRON. AUTOBOTS vs. DECEPTICONS. At the dawn of the conflict, battle lines are drawn and sides are set… now legends will be made. The war that would define a planet begins in earnest—and its revelations will shake the TRANSFORMERS’ world to the core! 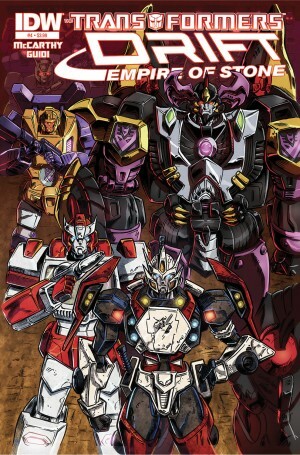 Volume 8 collects Transformers Universe #1–4, all character biographies from TF issues #47–49, 56–72, and 74–79, plus G.I. JOE and the Transformers #1–4. Also includes issues notes by Mark W. Bellomo. THE WORLD AS THEY MAKE IT! Alliances are forged! Enemies are enraged! The war burns on Earth and Cybertron! And now… now the real battle begins. No offence to all the other comics, because they all try really hard, but TRANSFORMERS VS. G.I. JOE is the best thing ever. Variant Cover by Kody Chamberlain! Well that was quick! As soon as we got wind that Hasbro had expressed interest in buying DreamWorks on Thursday, it appeared as of yesterday (i.e. one day later), the deal has already gone kaput! 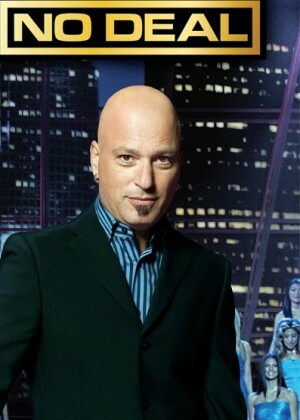 In the world of Deal or No Deal ... NO DEAL! Various reasons are the cause of the quick collapse of these talks. From a predictably negative reaction from Disney, to Wall Street analysts who deemed the $35 a share asking price from Dreamworks too steep, to Hasbro shares losing 4% on Thursday and an additional 2% on Friday. Perhaps there are some additional reasons, but the bottom line is that this deal won't be happening in this reality. You can check out the full articles about the demise of the Hasbro/DreamWorks via HollywoodReporter.com and NYtimes.com. Discuss your thoughts about this topic on our forums by clicking here. 4,509 pages were recently viewed by 731 unique visitors. This page was viewed 1 times on Saturday, April 20th 2019 8:01pm CDT. © 2019 Seibertron, Inc. DBA Seibertron.com. All Rights Reserved. Established June 2000. Seibertron.com is owned by Ryan Yzquierdo.